The biggest game in the world right now is “Fortnite,” a goofy, cartoonish game with a deadly serious premise: 100 players are dropped on an island full of weapons, and the last person alive wins. 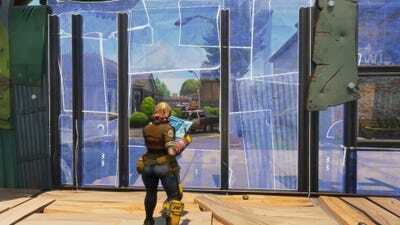 Over 45 million people have “Fortnite,” and that number is about to grow far larger – the game is slowly trickling out to Apple device owners around the world this very minute. Since the game is played online, “Fortnite” on iOS is scaling up slowly so it doesn’t crash due to a sudden influx of players. As such, you must be invited to download the game on your favourite Apple device. First of all, how do I get “Fortnite” on my iPhone? 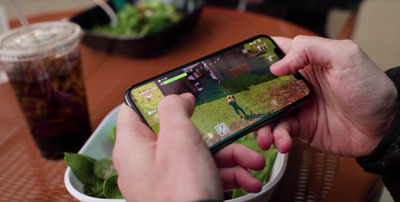 Epic GamesYou too could be playing ‘Fortnite’ while eating a salad with a massive soda. As soon as the game is capable of handling more players, and your number comes up, you’ll get an invite to download the game on your iOS device of choice. Beware: “Fortnite” on iOS only runs on a handful of Apple devices, and you need a strong, consistent internet connection to play. Any Apple device running “Fortnite” needs to have iOS 11 installed. Now that you have the game, what is “Fortnite”? “Fortnite” takes something familiar – shooters – and twists it in a subtle way to make it fresh. If you own a game console, chances are you’re familiar with shooters – be they first-person (like “Call of Duty”) or third-person (like “Gears of War”). 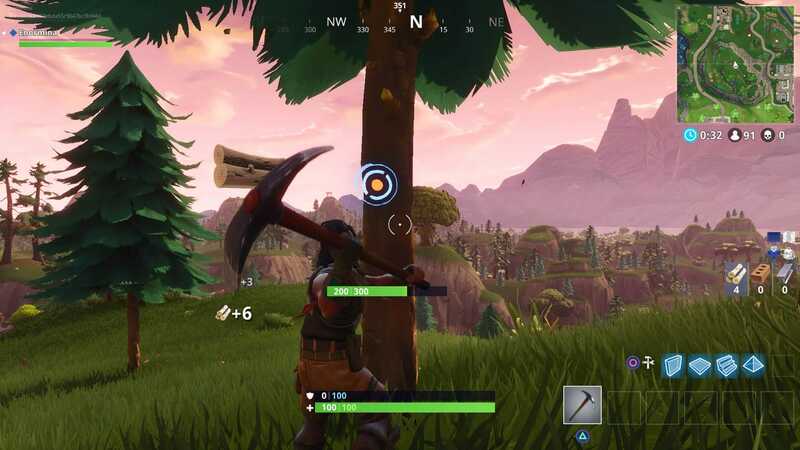 “Fortnite” falls into the latter category, with your character’s avatar taking up prominent screen space. But living through the cartoon violence of “Fortnite” is difficult – there are a few dozen other players also trying to be the last person alive, and they have got weapons. And like the games that inspired “Fortnite” – “PlayerUnknown’s Battlegrounds,” “H1Z1,” and more – “Fortnite” is based on a single, large island with an ever-shrinking habitable area. If you’re outside of that area, your health begins to drain until you’re dead. In this way, players are forced together rather than able to hide. It’s important to aggressively go after the enemy. But also, watch your back! “Fortnite” is often compared to another popular shooter, “PlayerUnknown’s Battlegrounds.” There’s good reason for that: They’re very similar. The first thing you do in “Fortnite” is jump out of a purple flying bus and parachute down to an island. The island is full of distinct regions, and it’s littered with resources: Guns, explosives, med packs, shields, and various materials (wood, brick, metal). But there are major differences right off the bat. 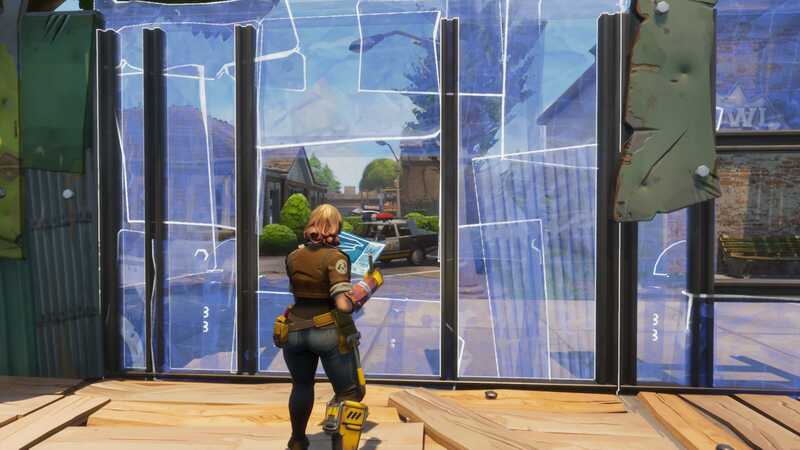 Rather than simply picking up weapons and healing kits, “Fortnite” also has a construction element to it. Thus why you’re picking up materials – stuff like wood, brick, and metal. Alternatively, you can use your pick-axe to mine the materials yourself, like you would in “Minecraft” (as seen above). There are loads of parallels between the two games, but “Fortnite” is immediately distinguished by this crucial difference. 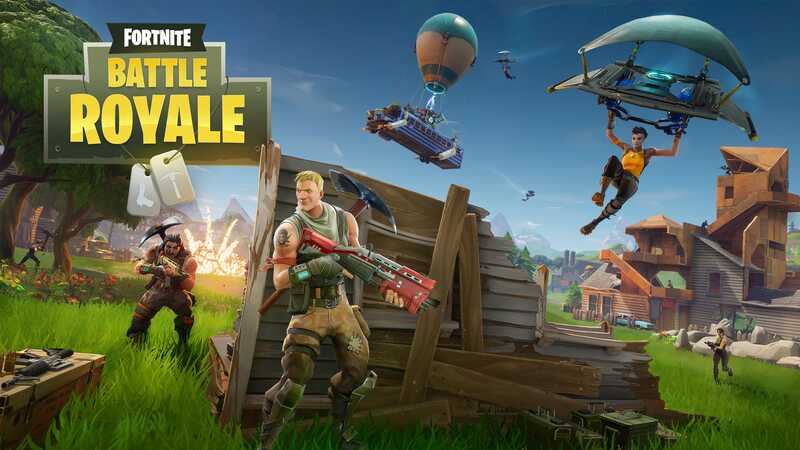 You might be wondering how Epic Games managed to turn a console and PC multiplayer shooter into a mobile game without changing its core functionality. The mobile version of “Fortnite” can even be played cross-platform with friends on PC and console. The answer, unfortunately, is virtual buttons. As you can see above, “Fortnite” on mobile is controlled by putting your fingers directly onto the screen. You can drag your thumb around on the left side for movement, and you can drag your thumb around on the right side for aiming. At the moment, there’s no way to use a Bluetooth gamepad with “Fortnite” on mobile. “We don’t support controllers at initial launch. 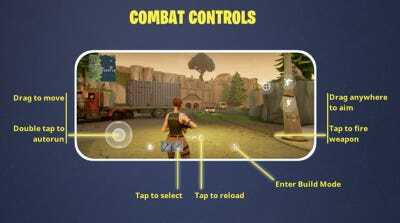 Later, we plan to support such controllers,” Epic Games told us. 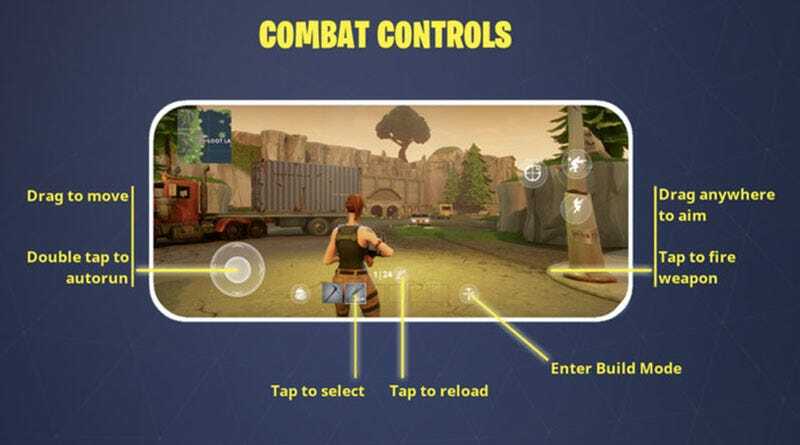 If you’re looking for more precise controls, “Fortnite” can be played on Xbox One, PlayStation 4, PC and Mac – for free – with gamepads and mouse/keyboard setups. Hey what about me?! I’ve got this sweet Android phone and can’t play “Fortnite”? If you want to be among the first people to learn about “Fortnite” on Android, you can also sign up with your email to be alerted when it happens. Alternatively, you can obsessively refresh Business Insider every day until its announced. Up to you!